In an unusual move during an airline safety investigation, Alaska Air Group President and Chief Operating Officer Ben Minicucci emailed a statement to employees Wednesday afternoon expressing support for Boeing in what he called “an incredibly difficult time” after two crashes of the 737 MAX 8. “We can only imagine how challenging it must be for their 140,000 employees, over half of which are located in the Puget Sound area, to be grappling with two accidents so close together. I think this is especially true for those working right here near Sea-Tac at the Renton 737 production facility. Like our own employees, they work hard, they care deeply about the communities they serve, and they take pride in their work,” he wrote. Boeing’s MAX aircraft family has been grounded in the U.S. and worldwide following the crashes, which killed more than 300. Boeing says it is preparing a fix for the MCAS automated flight-control system implicated in the first crash and suspected of involvement in the second. 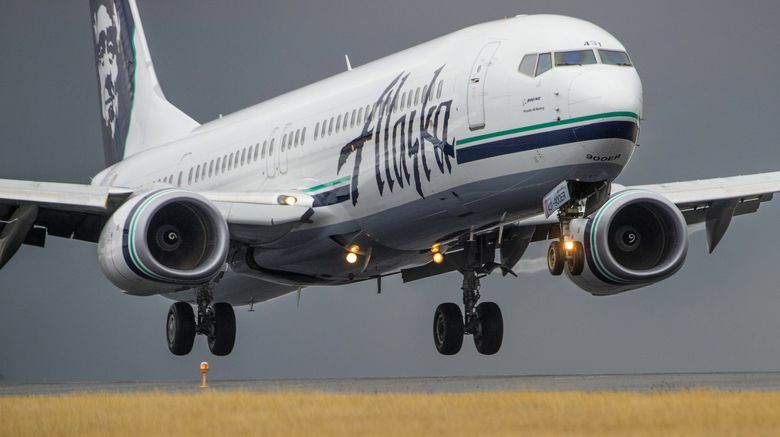 The Seattle Times reported Sunday that Federal Aviation Administration managers pressed agency engineers to move quickly and delegate more work to Boeing on the plane’s certification, and that Boeing’s analysis of the automated flight-control system contained crucial flaws. Since then, reports of a federal criminal probe have emerged, and Secretary of Transportation Elaine Chao ordered an audit of the process leading to the plane’s certification.